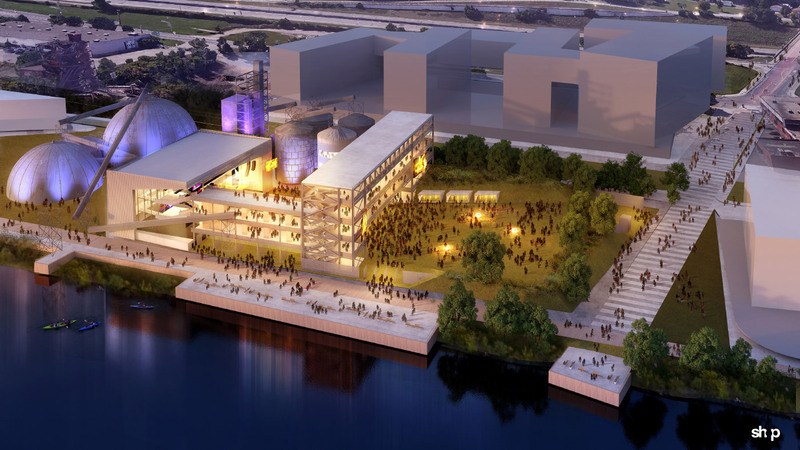 Minneapolis will be getting an elevated amphitheater on the banks of the Mississippi River courtesy of New York’s SHoP Architects. 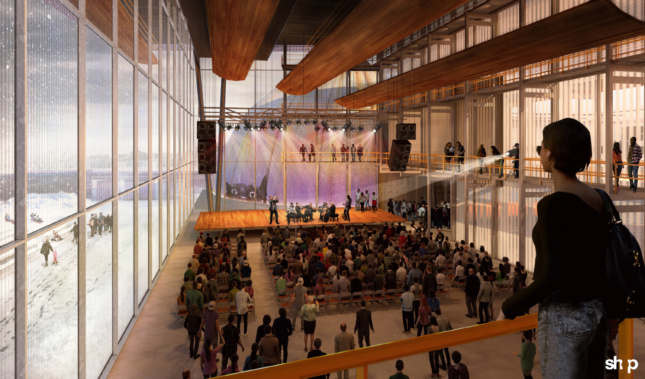 The firm was chosen by Minneapolis music institution First Avenue Productions to design the new Upper Harbor Terminal Community Performing Arts Center (CPAC); a combination park-performing arts center-event venue. CPAC will create a new 2.3-acre public park on the waterfront on city-owned land that will double as a performing arts space. 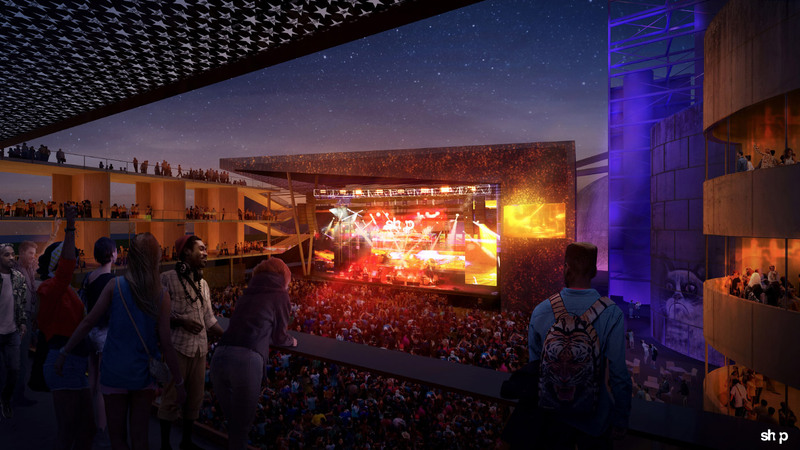 SHoP’s “Gantry,” a multi-story metal seating structure, will float most of the venue’s 6,000 seats above ground level and free the park up for public use when not scheduled for events. The stage, segmented into its own separate building, can also be enclosed during inclement weather for smaller performances. The Gantry leaves its structural elements exposed, and the catwalk-like design is a callback to the waterfront’s industrial past—a past that, from renderings, will be heavily referenced in the new park’s design. CPAC will seat up to 10,000 visitors, with room for 4,000 standing attendees, and 10 private boxes. The renderings released last Wednesday were the public’s first look at plans for the north Minneapolis site, of which CPAC is just a small part. If the plan is approved by the City Council and Minneapolis Park and Recreation Board, the 50-acre Upper Harbor development would bring residential and office buildings to the waterfront as well. Construction on the project’s first phase, including CPAC, could begin in 2020 depending on how fast the development clears the approvals process. In the meantime, developers United Properties, Thor Companies, and First Avenue will be soliciting public feedback on their current scheme.